This Valentine’s Day consider giving the gift of Junk King! What?! Yes, you heard me right. I know it’s a little outside the chocolate box but hear me out. Valentine’s Day is a great time to honor the people you care about. So many of us feel overwhelmed by junk cluttering up our living spaces. The extra stuff or leftover materials affect our peace of mind. Imagine if someone came in and took care of it for you. 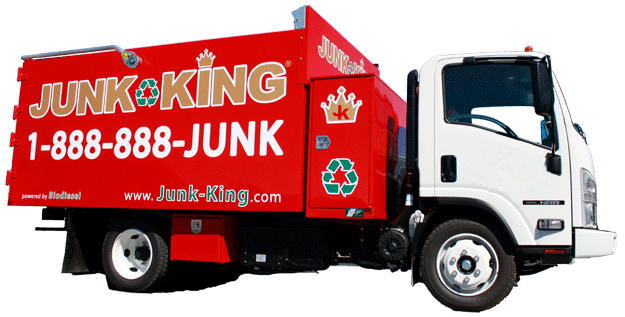 At Junk King we pride ourselves on doing our jobs quickly, efficiently, professionally and cost effectively. We have removed hot tubs, flooring, furniture, clutter, mattresses, old electronics, and construction materials just to name a few! Often when we leave our clients are so happy! They have regained their space and feel a sense of calm. When gifting Junk King you not only gift peace of mind but you also may gift additional living space, a prettier view and time better spent for the homeowner. Just think of the possibilities without that extra junk in your trunk or home or garage or yard! And, Happy Valentine’s Day to all our great customers. This entry was posted in Furniture Removal Palm Beach, Junk King, Junk King Palm Beach, Junk Removal Palm Beach, Junk Removal Team, Junk removal West Palm Beach, Palm Beach Appliance Removal, Palm Beach Concrete Disposal and Recycling, Palm Beach Debris Removal, Palm Beach Dumpster Rentals vs. Junk Pick Up, Palm Beach Foreclosure Cleanouts, Palm Beach Junk Pickup, Palm Beach Junk Recycling, Palm Beach Junk Removal, Palm Beach Junk Removal Prices on February 13, 2015 by Dave Archer. Last updated July 31, 2017 .